I had about decided to take a chance and go over there when she moved. She slipped over to a place about two tables away, and then she moved again, and I saw what she was up to. She was closing in on a bullfighter named Triesca, a kid I had seen a couple of times in the ring, once when he was on the card with Soloranza, that seemed to be their main ace at the time, and once after the main season was over, when he killed two bulls in a novillada they had one Sunday in the rain. He was a wow with the cape, and just moving up into the money. They played the introduction and the lights went up and we began to have a good time. I’m telling you, that was opera that you dream about. They didn’t have any curtains. They put the lights up and there it was, and when they finished they blacked out and came up with a baby spot for the bows… On the stage they built a whole town, the guardhouse on one side, cafes on the other, the cigarette factory in back. You had to rub your eyes to believe you weren’t in Spain. commentary: This book is mind-bogglingly difficult to describe. I read it years ago, and came across it recently and thought ‘Do I really remember this correctly?’ In the intervening years, I have developed an interest in opera, and this book is, yes really, largely about opera. James M Cain is known to most of us for the iconic noir books The Postman Always Rings Twice and Double Indemnity: hard-livin’ books bout hard-livin’ people. This one – well it’s just strange. Protagonist/narrator John Howard Sharp is, when the book opens, an opera singer who has lost his talent, and is stuck in Mexico with no money and no prospects. He finds Juana on the fringes of a matador’s circle: she has a connection with bull-fighting, and possesses a beautiful matador’s cape. There are various adventures while they get together and travel through Mexico, with the result that he gets his voice back. So they travel back to the USA (she has to be smuggled in as an illegal immigrant). He can’t get anyone to take his singing seriously, they are struggling again. But then they go to see the opera Carmen (very much a continuing theme throughout the book) at the Hollywood Bowl. Now, wait for this: John realizes that one of the singers is ill, slips backstage and offers his services to the management, takes over, wearing Juana’s cape, and has a startling success. Again, yes really. ‘none of this material could be considered suitable for an American movie in 1956’. It must be said, though, that there are quite other aspects of the book that would not be acceptable now: the narrator’s attitudes to Mexico, Mexicans, women and various others are all deplorable and uncomfortable. I wanted to put it up a half tone, so I could get it in the key of three flats, but I didn’t. It’s in the key of two sharps, the worst key there is for a singer, especially the high F sharp at the end, that catches a baritone all wrong…The F sharp is not in the score, but it’s tradition and you have to sing it. And a recipe for cooking an iguana. And a scene where he drives a car into a church, and they camp out there for a few days. The story barrels along, and I defy anyone to guess what is coming next at any given point. The opening scenes, where John meets Juana and gets into a disagreement with the bullfighter, reminded me of a Jorge Luis Borges story – Streetcorner Man, his first published story, which appeared in 1933, ie a few years before Serenade. Streetcorner Man is subverted in a later Borges story, Rosendo’s Tale (which appeared 40 years later, in Dr Brodie’s Report). It shows the other side of the story, and very much pulls the rug from the macho attitudinizing of the first one. 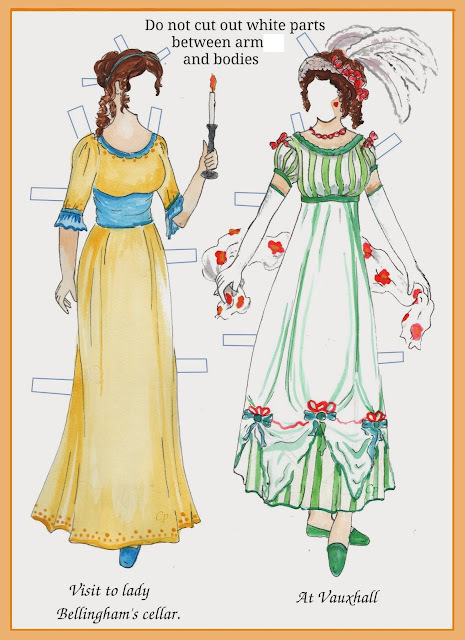 Cain, and Sharp, are also very knowledgeable about clothes – there were some very convincing descriptions of what Juana wears, and why she doesn’t fit in with others around her. It’s a short, sharp, unique read. Of interest to opera-lovers and noir-lovers. Picture of bullfighter from Texas State archives. Poster for Federal Music Project presentation of "Carmen" at the Philharmonic Auditorium, Los Angeles – at exactly the era of the book, so could easily be the performance that Sharp gatecrashes/saves. This does sound awfully strange, Moira. And not very much like the other two works for which Cain is most famous. I was reading the little snippet you shared, and didn't even see more than a passing resemblance in the writing style. Hmm.....very strange, indeed. One of the strangest books I have read lately, Margot. But Cain, as we know from his other books, was always a great writer, so it is still a good read. Oh, oh, oh! James M. Cain and opera! I know this connection! I was reading a fair bit of his more elusive stuff last year (during one of my blogging flat points, so it didn't get mentioned) and I too noticed how keen he seemed to be about music in general, so I investigated and found that his mother, Rose Cecilia Mallahan,was an opera singer before her marriage, and Cain himself at one point had wished to pursue a career in singing, but his mother told him he wasn't talented enough, so he focussed instead on writing. (The opera house's loss was the reader's gain.) Interesting biographical note on the same topic: in 1947 Cain married coloratura soprano Florence Macbeth. So there we go. This is one strange book. I read it a long time ago and while a lot of the plot has faded, that iguana part is still vivid. Unfortunately so, I was quite squeamish about that part. Absolutely glad I read it though. Wow! A novel containing a recipe for cooking an iguana . . . This sounds wonderfully weird, Moira, not to say quite bonkers. It is the most unexpected book, Chrissie, you never have the slightest idea where it is going next. His famous thrillers are full of surprises, but they don't take you off course in the same way. I have two copies of this novel, and had not decided whether to read it. Still not sure, but it is short. Very interesting about Cain's connections to opera. Oh you must Tracy! I so want to hear your opinion. You must have read other books by him? I have read Double Indemnity and Mildred Pierce. You are right, he writes really well. I plan to read The Postman Only Rings Twice someday. ... and surely you and Glen have seen films of his books?! We watched Double Indemnity after I read the book. Glen may have seen it before that. We tried to watched the remake of Postman and could not even finish it, which is rare for us. Glen has seen the earlier version and we will watch it after I read the book. We have watched Mildred Pierce many times, but the film is different from the book. They are both good, just have a different emphasis. If you enjoyed this seek out Cain’s similar Career in C Major. More operatic noir. I have ordered it, without even reading any more about it. The title is enough of a come-on. It has to come from the US to the UK so it will be a while. Don't think I have this one in the tubs. I'm impressed with you though. I thought you'd say 'trust you to find the only Cain book about opera-singing'! Well, quite frankly this sounds as mad a as a box of frogs. It's sort of like an Astaire/Rogers movie would be if the writer/director were John Waters. It may be that every author has some wildly unlikely work in them. Maybe Angela Thirkell's agent has a two-fisted adventure story set on an Artic Trawler written by her, but has hesitated revealing it to the world. I have to say that the wikipedia comment that 'none of this could be considered suitable...' isn't really required. This is a James M Cain novel that we're talking about! It's nice to be back. I've been struck down by that awful virus thingie that everyone else has been suffering from. I'm still not completely well, but this is about the first time in a week that I've felt like doing anything but feel sorry for myself. Yes this book is truly strange, but I couldn't put it down. Now, do you know about Thirkell's Trooper to the southern Cross? it couldn't be more different from her other books - a 1st person story of a soldier travelling to Australia on a troop ship. It is weird and entertaining. I don't know of any film apart from the Mario Lanza - someone should take it on though, it would make a great movie, and could be less self-censoring nowadays.